I received my first pressure cooker in my early 20's. It was a handy-me-down from my aunt that had already seen many years of service. It was a 4 quart Mirro-Matic that made quite a clamor when cooking. I was single at the time and I seldom used it, but once I got married I discovered some of it's finer points as I began cooking regularly. 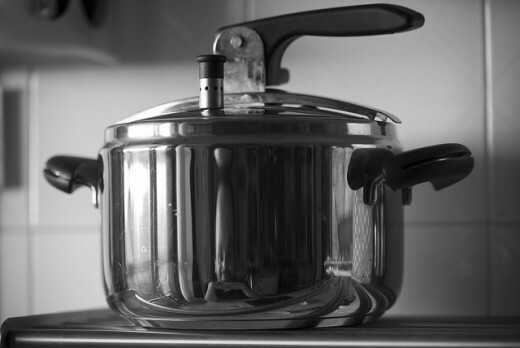 This page is dedicated to cooking with a pressure cooker. You'll find handy information about how to use and care for them, pressure cooker recipes, as well as an opportunity to shop for a pressure cooker and related parts. 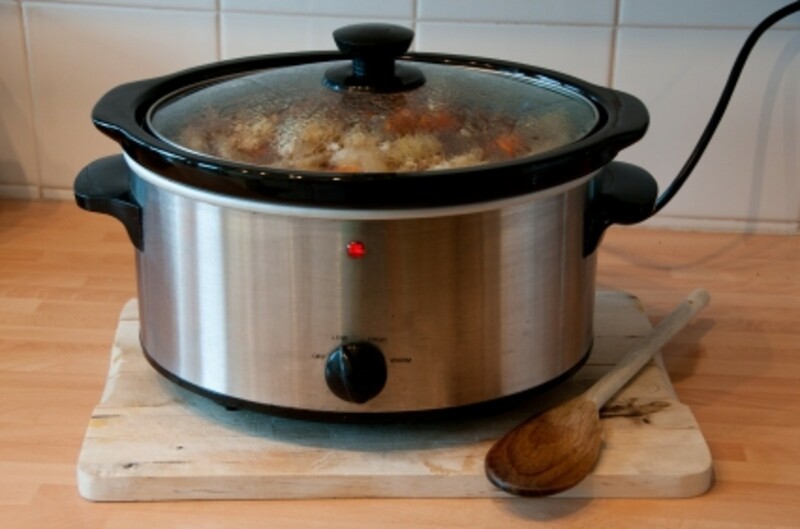 Pressure cookers offer a number of advantages over other methods of cooking. They're fast. Slow cookers are nice, but they are just what their name implies: slow. In fact, pressure cookers generally cut cooking time by 1/3 over most traditional methods. Shorter cooking times can also result in energy savings as well time savings for you. Meats come out moist and tender. When I prepare meats in the pressure cooker I never have trouble with them coming out dry or tough. 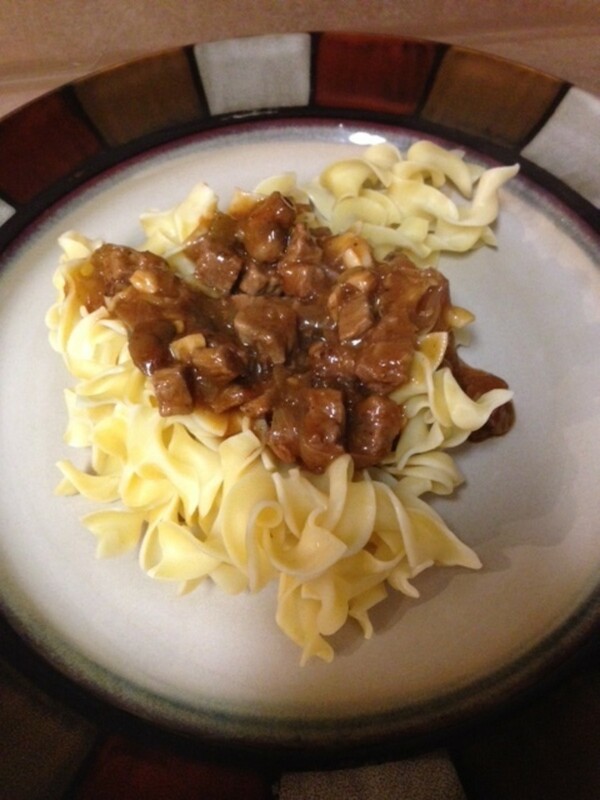 In fact, I can often opt for a less expensive cut, because the pressure cooker always gives me good results. They add convenience. I have a number of recipes that are basically one pot meals so there aren't a lot of pots and pans to clean after the meal. Slow cookers can sometimes do this, but I often find I have to cook the ingredients on the stove top first before placing them in the slower cooker. I have fewer steps when cooking and fewer pots and pans to clean afterwards. Safety. Old pressure cookers were feared by many due to the built up pressure and the risk of burns from the heavy steam they can create. Now pressure cookers have a variety of safety features such as quick pressure relief valves that make this risk minimal. They also don't splash or boil over and they're quieter. Old pressure cookers would create quite a racket in the kitchen as the pressure built up and the pressure control would "pink" loudly. Modern pressure cookers are much, much quieter. They are a healthy option. Unlike frying, you won't be using a lot of extra fat and unlike oven roasting, boiling, or slow cooking you won't be losing as many vitamins and other nutrients due to long cooking times. 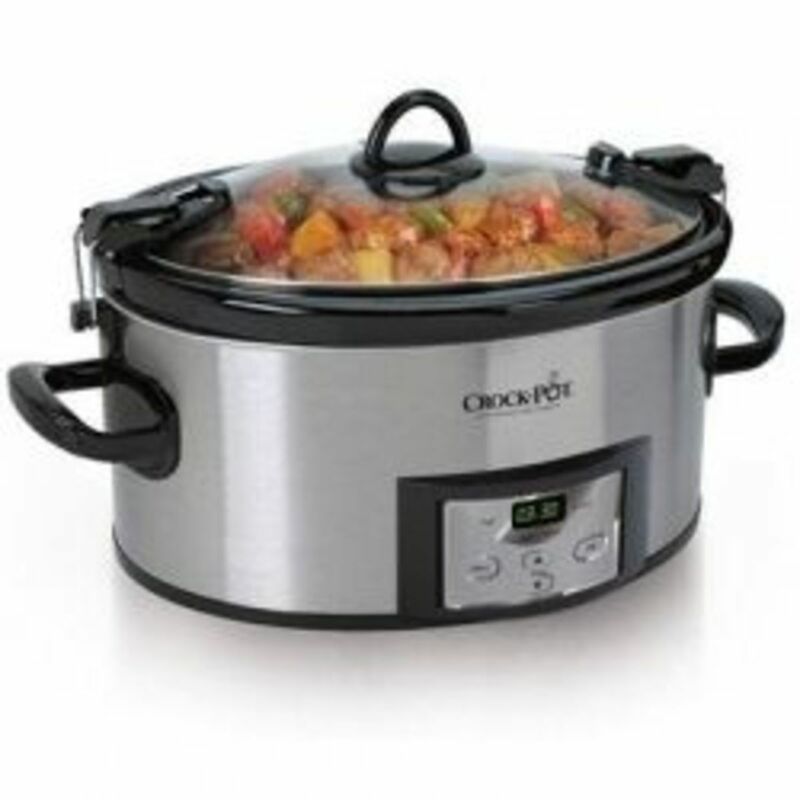 There are many manufacturers that offer pressure cookers. T-Fal, Oster, Deni, and Sunbeam for instance are in the market. However Presto, Mirro, Cusinart, and Nesco are better known for these products. All American makes well known electric models but Wolfgang Puck also has his name on some. Kuhn Rikon, Magefesa, and Fagor are newer names in the American market and are well respected. In the end, you need to find the features you want and the ones that match up to your budget as there are a wide range of options. There are a number of things to consider when choosing your pressure cooker. Capacity. Obviously if you're cooking for two, a 4 quart pressure cooker may suffice, but if you have a family, a 6 or 8 quart model might be a better option. Special duties. For those who want to can, some pressure cookers do double duty. There are even modern pressure cookers which can also saute, steam, slow cook, pasteurize, and so forth. They offer delayed start, read outs to tell you when your cooker has built up enough pressure, multiple pre-set modes, keep warm modes, and much more. Of course if you want all these bells and whistles, your cooker will cost a bit more. Construction. Most pressure cookers are either aluminum or stainless steel. Aluminum is lighter weight and less expensive. Stainless steel is considered higher quality, more durable, and heavier. Certainly, with stainless steel there is no risk of aluminum leaching into the food. Stove top or Electric. The most common pressure cookers are made for stove top use, but there are also electric pressure cookers. Electric pressure cookers are certainly portable but have the drawback of having additional parts that, should they malfunction, will render the pressure cooker useless (i.e. a heating element) and can be a bit harder to clean. Just as with any pot, finding one with heat resistant handles is useful to avoid burns. Pressure control. 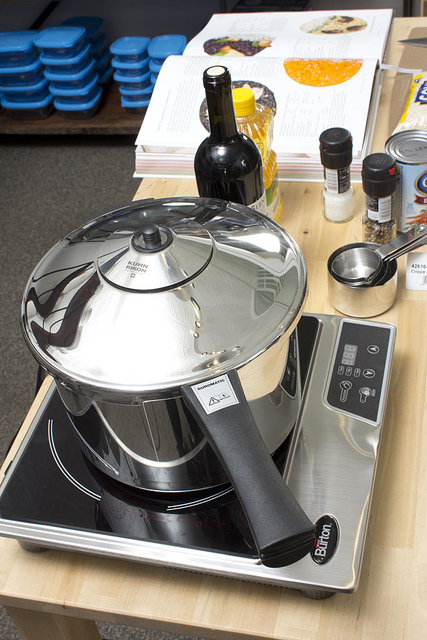 Some pressure cookers have a single pressure control, which requires no adjusting. Others have a selective pressure control that allows you to adjust the pressure from 5, to 10, to 15 pounds or so. Obviously this gives you more flexibility. If the pressure cooker has only a single setting, 15lbs is recommended to assure the quickest cooking. The traditional pressure control that "jiggles" around is common with more affordable models, while higher end models sometimes use a pop-up pin to indicate the pressure inside the cooker. Both work well, although the spring indicator is even quieter as they release less steam during the cooking process. For safety, jiggle top pressure cookers typically have a pressure release valve which will "blow" if too much pressure builds up. (I've never had this happen, but certainly it could). Cookers with pop-up pins and dials however have other safety features which vent steam or, in case of excessive pressure build up, pushes out the gasket. Accessories. 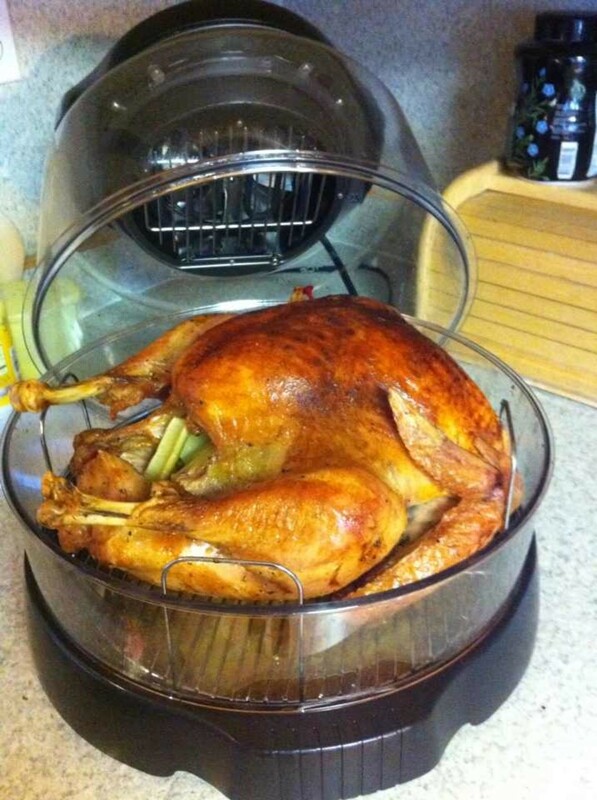 Some pressure cookers may come with steamer baskets, a rack to keep items off of the bottom of the pot, and additional pots for inserting inside of the cooker itself for special items (such as desserts, rice, and so forth). Certainly a canning rack is needed for those who will use their cooker for canning. Some cookers will come with a gasket that goes along the inside of the lid to assure a tight fit, but some are designed to operate without this. Gaskets are probably the most frequently requested replacement part. Of course a pressure cooker with a timer is also a good idea, although if you're diligent, using any other timer in the kitchen can suffice. The manual you receive when purchasing a pressure cooker will cover all the details on how to use it. Never fill your pressure cooker more than 2/3 full. Be especially careful when cooking foods that might expand, like rice. Avoid cooking foods that tend to froth a great deal. Pastas and so forth are examples. Be conservative on the cooking time. It's easy to overcook foods in a pressure cooker, so err on the side of a shorter cooking time and adjust as necessary the next time you prepare the meal. Use a timer. As stated above, it's easy to over cook foods with a pressure cooker. Be sure to know the pressure level inside the cooker. Some pressure cookers read the pressure level more accurately than others, but no matter which type of pressure control it has, be sure you know what pressure level it is at or set on, so that you get the cooking time correct. Be sure the lid is on snugly. Pressure can't build up if the lid is not on properly. Typically, if the lid handle aligns with the handle on the pan, and you get them latched, you're in good shape. If you have a gasket and there is excessive steam or water leakage before you reach pressure, you may want to adjust the lid and try again. Never force the lid open, and don't try to open a pressure cooker that hasn't been allowed to release pressure. Read the manual about how to release pressure. 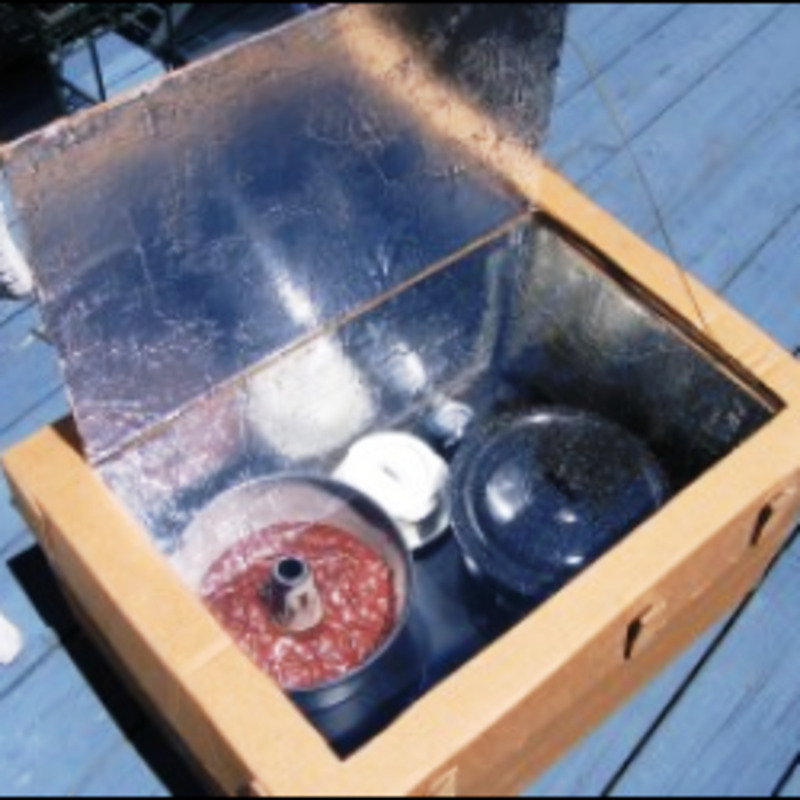 Some cookers have to sit for 5 minutes or longer (the slow method) to normalize and others many need cold water run over them (the quick method). Never attempt to remove the pressure control while the pot is still pressurized. Don't allow the cooker to run out of water. Recipes and cooking tables will indicate the amount of water to be used. When first using a pressure cooker, it's better to err on the side of a bit more water to assure it doesn't run dry. Don't leave the cooker unattended. Remember, it cooks fast. Generally speaking, you want to cook at the lowest temperature that will maintain the desired pressure. Start out at a high heat setting until pressure is reached and then reduce the heat so that pressure is maintained. Generally a low or medium heat setting is all that is needed. A pressure control that jiggles or rocks, should do so gently, and only periodically once the pan has reached the desired pressure. 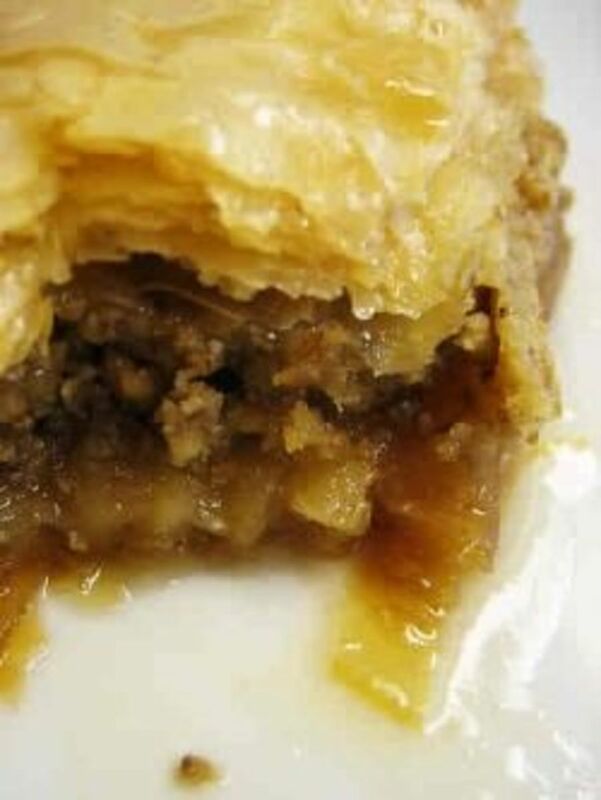 If you're using a recipe, knowing how long to cook something is simple; it's stated in the recipe. However, if you're cooking an item without a recipe, then having a table to give you approximate cooking times is wise as overcooking can result in mushy food! Here are some handy online references. Find estimated cooking times laid out in easy to read tables for vegetables, beans, meats, poultry, seafood, fruits, and more. Find more tables for cooking times when using a pressure cooker. After purchasing your pressure cooker, be sure to read the manual thoroughly and follow the care/cleaning instructions provided there. Keep the vent tube clean. Check it before every use by holding it up to the light and looking through it. Most can be cleaned by using a wire to remove any obstruction. Avoid cooking foods that tend to "froth" to prevent this blockage from occurring. Clean the pressure cooker after every use. Generally, they should be washed by hand with warm soapy water but depending on the type of cooker you have, you might not want to submerged it in water. If your cooker has a gasket that too should be washed and dried with each use. Replace the gasket (if your pressure cooker has one) when it begins to leak steam consistently when cooking. The gaskets can dry out, crack, shrink, and so forth over time. If using your pressure cooker for canning, getting the pressure gauge calibrated periodically can be an important safety precaution. Multi-pots have become very popular. They are the modern pressure cooker. I upgraded a a year or two ago and love the ease of mine. It has numerous preset cooking modes that allow me to cook without having to look up specific cooking times when I am operating without a recipe. I've also enjoyed the delayed start when I'm rushing around with at least 10 more things to do rather than loiter in the kitchen. It seems perfect for beginners too because you don't have to guess when the cooker is up to the necessary pressure level, it tells you. 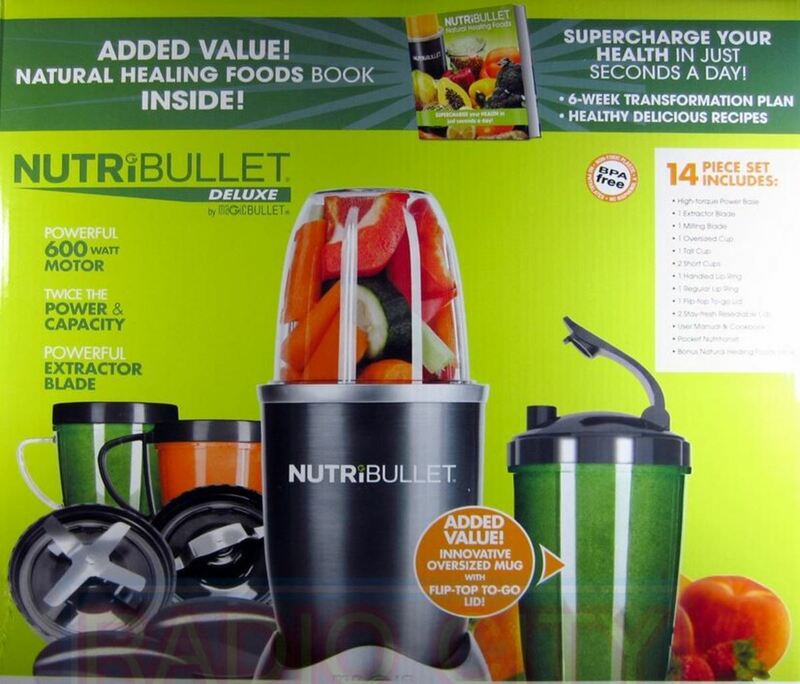 It comes with accessories and recipes as well. haven't bought one yet but we really want to. my mom made a roast in like 30 minutes! Thank you for this great lens. I love using our pressure cooker. Tons of terrific information here about pressure cookers! Great job. That's a cute video, too. I had a pressure cooker and used it for canning...gave it to my daughter with all of my canning stuff and have been kicking myself ever since. I'm getting another one, for sure. What a nice lens, and great choice of subject. I do have a pressure cooker, but have always been afraid to use the pressure! I've seen those things blow before! :-) Maybe I'll consider purchasing a newer model that is more safe. [in reply to JaguarJulie] Yes I can believe it. I was scared of them too, thought they were old fashioned etc. But they've gained more popularity in recent years as they've improved and now provide an eco friendly, healthy,and quick way of making delicious foods. 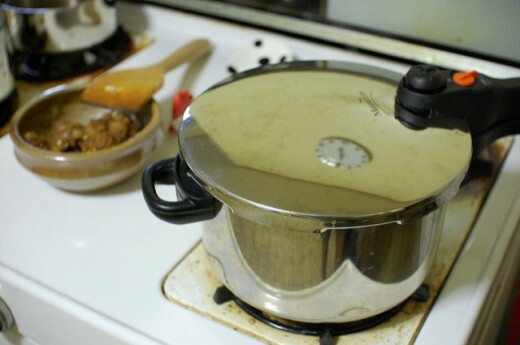 We had a pressure cooker when I was a kid -- I was always afraid to use it would you believe? So, I never owned one. Do people really use pressure cookers today? Excellent lens. I haven't used a pressure cooker for years. I think you've made an excellent case for me to re-familiarize myself with the pressure cooker!